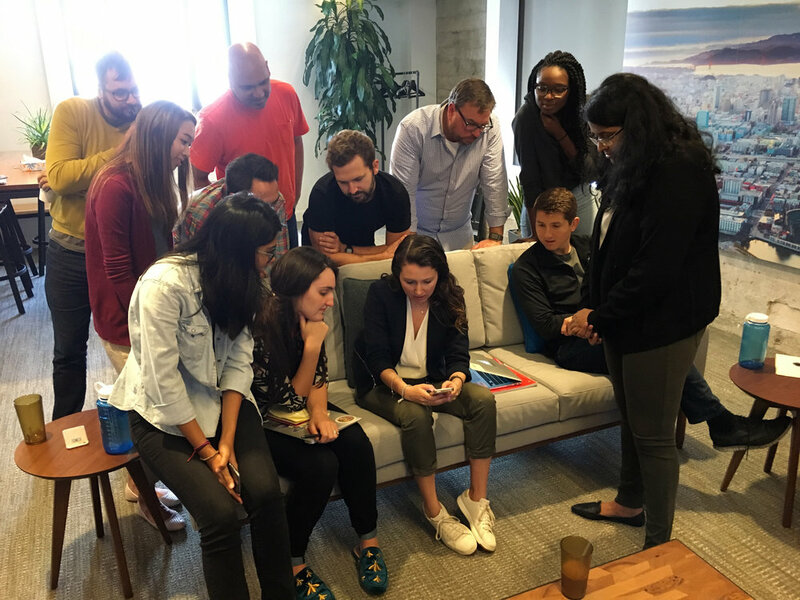 In January 2017, I was entrusted with transforming the critique program for Twitter’s product design team. Design critiques, or “crits,” are an open and inclusive forum to share in-progress work at any stage, with the purpose of giving and receiving feedback and advancing the project. Following internal research into the as-is state of the program, we learned there was a need for more effective use of time. Crits were both haphazardly scheduled and attended; only a few people maintained any through-line across the conversations. Unless you were in the room, there wasn’t a way to get the gist of the conversation, or track action items. In such a sporadic state, it would have been difficult to scale. So we set goals and non-goals for the improvement process. One of the first variables we adjusted was finding a workday that could be consistently claimed for crits. Mondays are typically a meeting-laden start to the week – or they’re a holiday. Thursday and Friday are typically work-from-home days for those who commute to headquarters. And Wednesdays can be packed with events. So luckily, an advantage of Tuesday is that it allows for preparation, sending out calendar invitations, and catering orders; the balance of the week also remains to make progress and integrate feedback. Centralization: there’s one location to sign up for crit time slots. There, presenters share a brief project write-up, its current status, and requested attendees. Most crit time slots are 45 minutes, but we’ve had 30 minutes, 90 minute workshop prototypes, and an open office hour. Facilitation: to ensure all voices are being heard, to keep track of time, and to review feedback together as a group in the closing moments of the session. Documentation: notes are taken for each crit, as well as action items assigned. Socialization: occasional updates about the health of the crit program (plus highlights from recent discussions) are emailed to the design & research team, and asynchronous project feedback is posted on our #design-crit slack. 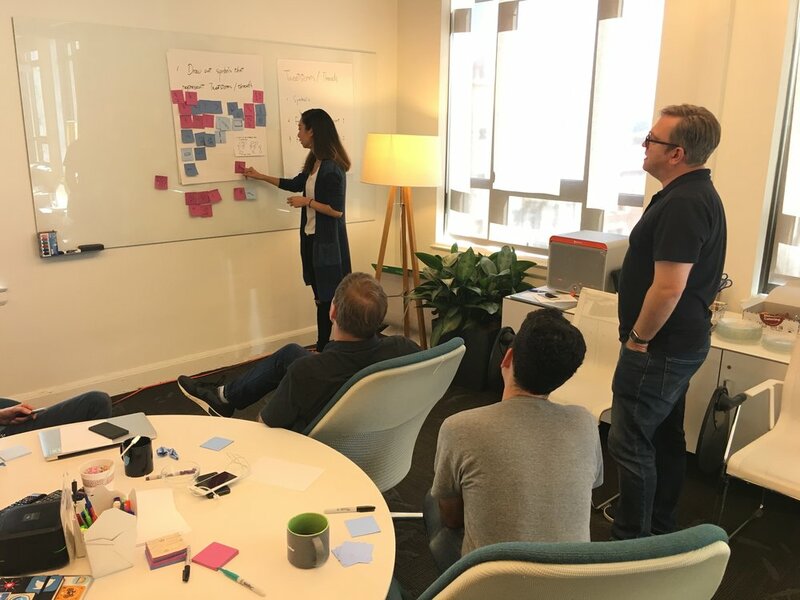 Each crit starts with a preamble stating the purpose of the session, problems we’re solving for the customer, and the type of feedback requested. In order to set expectations for the kind of discussion we’ll have and feedback the presenter is seeking, we established four broad stages of work: exploration, concept, iteration, delivery. A simple, five-question CritTicket is completed by the presenter following each crit. These allow us to individually take the pulse of the presenter, and collectively measure the health of the program using a Net Promoter Score. I follow-up with the presenter 1:1 if there are any action items for me. The crit environment is continually upgraded, with more comfortable seating, external microphones that allow everyone in the room to be heard, and a 4K monitor for fabulous color nuance. Finally, as an incentive to participate (and one variable that always gets a lot of response), I order catering from local pastry shops and doughnut makers, and rotate the kind and type of treats to fuel our conversations. One unexpected thing arose from managing this program: the Product team and Data Science team have looked to our program as a model for their crits. Happily, one of the Data Science managers is able to devote some of her time to shepherding the program; without leadership and management, the program could stall out. After hosting and facilitating 500 crits, six group workshops to improve the process, and dozens of 1:1s, I’ve learned a lot in augmenting this critical program. One thing remains: it will never be done – just like learning.